What is the purpose of fiction? 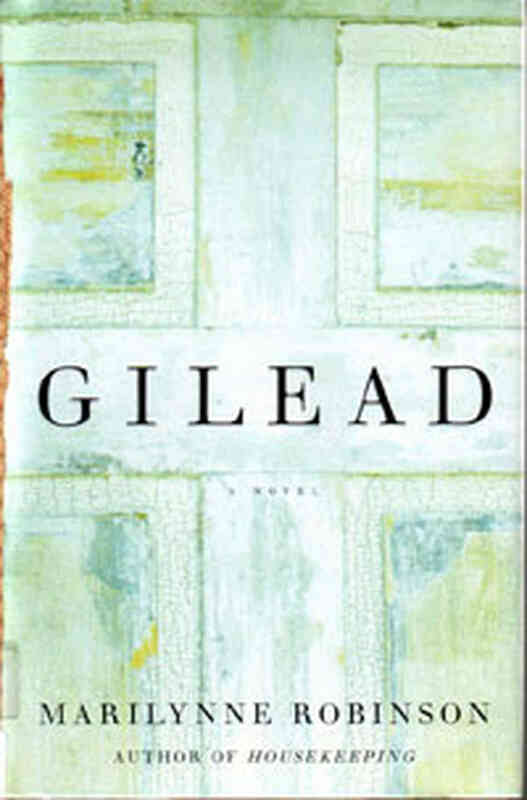 If it is to imaginatively engage its characters – and by so doing strengthen the reader’s ability to empathize with real people – then Marilynne Robinson’s 2005 Pulitzer Prize winning novel Gilead succeeds brilliantly. The novel takes the form of a long letter written by John Ames, a Congregationalist minister living in a small Iowa town during the 1950s, to his young son. Ames, who is in his mid-seventies and suffering from a fatal heart condition, wants to leave his child a record of his life and a way for the boy to remember him after he dies. Gilead is filled with the aching beauty that the jacket copy of every other novel promises, but few in my experience actually deliver. Robinson voices Ames’ great and genuine love for his son, and his sorrow at leaving him so soon, with a simplicity and directness founded on total conviction. Robinson doesn’t seem to have created John Ames. She seems to have been angelically possessed by him. Robinson brings equal beauty and conviction to Ames’ expressions of his love for the Iowa prairie and his life in Gilead, even during the long decades of loneliness between the death of his first wife and child in his youth, and the second family he begins as an old man. For those who think that a little bit of aching beauty goes a long way, Gilead also serves up a heaping portion of plot like a hearty Midwestern meat loaf. This plot includes the story of his second marriage to Lila, a woman half his age who appears one Sunday in Ames’ church for the service. She returns every week and Ames falls ridiculously and helplessly in love with her – ridiculously (he thinks) because he is an old man and helplessly because he can see of no way to approach her consistent with his moral convictions. So his relief and gratitude are immense when Lila tells him one day, “You ought to marry me.” What the town and his church think of this marriage is an interesting silence in Gilead. Another plotline in the novel are the stories of John Ames’ grandfather and father. Ames’ grandfather was a fiery preacher and abolitionist who believed slavery was so great an evil that it justified violent opposition, and who fought with John Brown and with the Union Army. Ames’ father was an ardent pacifist, and the conflict between the two men extends into John Ames own lifetime and forms part of his story. Most prominently, however, is the story of John Ames (Jack) Boughton, John Ames’ god-son and a child of his best friend. Jack is a charming ne’er-do-well who returns to Gilead after a many years absence. Jack torments Ames by reminding the preacher of his inability to love the man who carries his name, by making Ames’ fear that his wife and child will fall victim to Jack Boughton after his death, and by provoking his jealousy. All these storylines are presented episodically by Robinson. So readers who enjoy novels which present conflicts, development them through rising action, and bring them to resolution – the “I can’t wait to find out what happens next” model – may find Gilead slow. I found it enthralling from beginning to end. Some readers may also find John Ames’ sometimes lengthy discussions of Christian theology dull. These discussions are perfectly consistent with a bookish minister educated in the early 20th century who has a great deal of lonely time on his hands. I liked them but I have a semi-professional interest in theology. I think those readers who enjoyed Gilead for its “aching beauty” will like Annie Dillard’s Pilgrim at Tinker Creek. I also think they will enjoy Colette’s My Mother’s House, which I wrote about here.